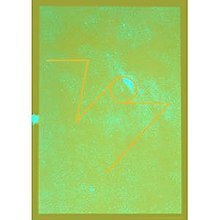 77 Boa Drum is a live album by Japanese experimental music group Boredoms, recorded on July 7, 2007, at Empire-Fulton Ferry State Park in Brooklyn, New York. It was released on two CDs, plus a 20-minute all-region NTSC DVD documenting the performance, mounted in a large hardcover book with photos and full credits. In Japan the package sells for 7,777 yen (including sales tax), about US$70. The concert featured the core Boredoms lineup of Yamataka Eye on electronics, vocals and Sevena (a custom-made instrument that, at the performance, was a vertically mounted array of seven electric lap steel guitars played with sticks); Yoshimi P-We; Yojiro Tatekawa; and Muneomi Senju. The band was joined by 74 other drummers (for a total of 77, plus Eye as member 0). Notable participating drummers included Hisham Bharoocha, Andrew W.K., Robin Easton, Aaron Moore, Christopher Powell, David Nuss, Kid Millions, Ryan Sawyer, Tim DeWitt, and Brian Chippendale. The band organized a sequel concert, 88 Boadrum, on August 8, 2008, featuring 88 drummers. The album consists of two CDs, each containing only one track. ^ "77 boa drum". Commmons. Archived from the original on 5 December 2008. Retrieved 2008-11-25. This article about a 2000s experimental rock album is a stub. You can help Wikipedia by expanding it. This page was last edited on 5 April 2018, at 22:07 (UTC).